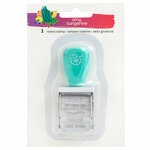 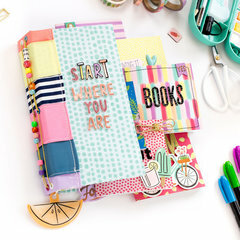 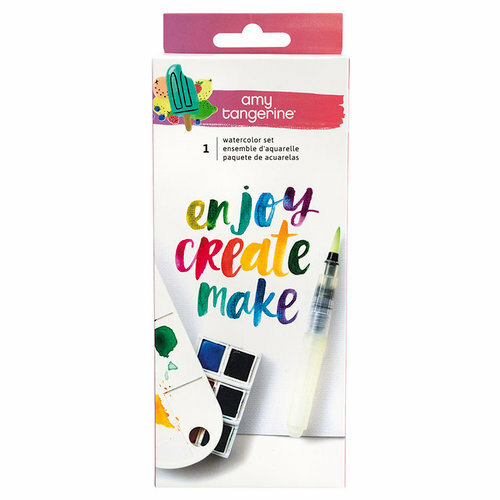 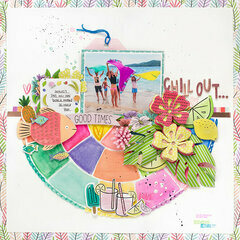 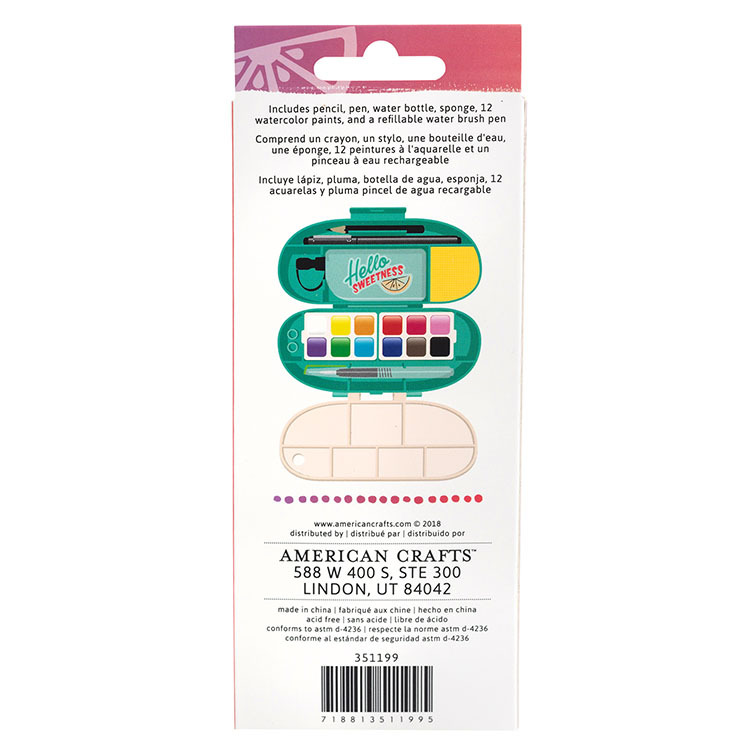 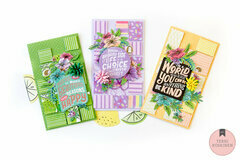 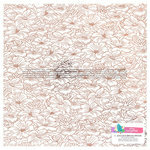 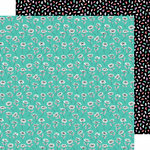 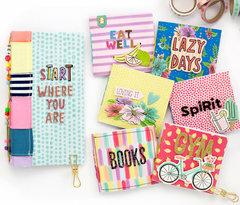 Get creative with color with the Stay Sweet Collection Watercolor Set from Amy Tangerine for American Crafts. Included in the package is one 12 pan set of watercolor paints in a compact carry-all container. 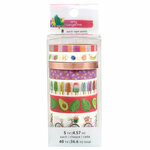 The container measures 3" x 7.5".